The capital city of Rome, Italy, is home to hundreds of festivals annually. And, when the winter breaks, the city throws open the shutters to show off the culture of the city. If you've ever been to New York City in April, then you are pretty familiar with the weather in Rome. The average temperature hovers around the mid-50s with occasional days of tank tops and shorts or puffy jackets and scarves. A simple word of advice, pack for several types of weather. Learn more about the spring festivals and holidays that Rome flaunts in April. Easter Week in Rome and Vatican City is an unforgettable experience full of Italian traditions. Holy Week is one of the busiest times of the year to visit Rome and the Vatican City. It usually falls in April, sometimes late March. Holy Week festivities start with Palm Sunday mass led by the Pope in Saint Peter's Square, to the moving Via Crucis procession and Good Friday services in the Colosseum, and finally Easter Sunday Mass in Saint Peter's Square. The day after Easter, la Pasquetta, is also a national holiday and is often celebrated by a trip out of the city or with a picnic. The day ends with a big fireworks display over the Tiber River in Rome. Since this is high season in Rome, be sure to book your hotel in advance if you are visiting during this period, especially if you want to stay near the Vatican. April 1, a non-official holiday much like it is in the U.S., is celebrated like April Fool's Day with practical jokes. Festa della Primavera, also known as the Spring Festival, spans from April to June, with hundreds of music, sporting, and theatrical events that change annually. A favorite can't-miss stop should include a visit to the Spanish Steps, which are usually decorated with hundreds of pots of bright pink azaleas. Check out the schedule for concerts held at the church adjacent to the Spanish Steps, the Trinita dei Monti. April 21 is said to be the date that Rome was founded by the twins Romulus and Remus in 753 BC. The celebration of Rome's birthday is typically held the weekend that falls closest to April 21. The weekend includes special events, including concerts, a parade, and historical re-enactments are held at the Circus Maximus, the large field where chariot races were once held. Fireworks and gladiatorial displays at the Colosseum are also part of the festivities. Usually the second or third week in April, all national museums and archaeological sites have free admission and some sites not normally open to the public may be open. These include the Capitoline Museums and the National Roman Museum, among many others. Some years the event had been canceled due to economic constraints, so check the Italian Cultural Ministry for definitive dates if you are planning travel around this week. 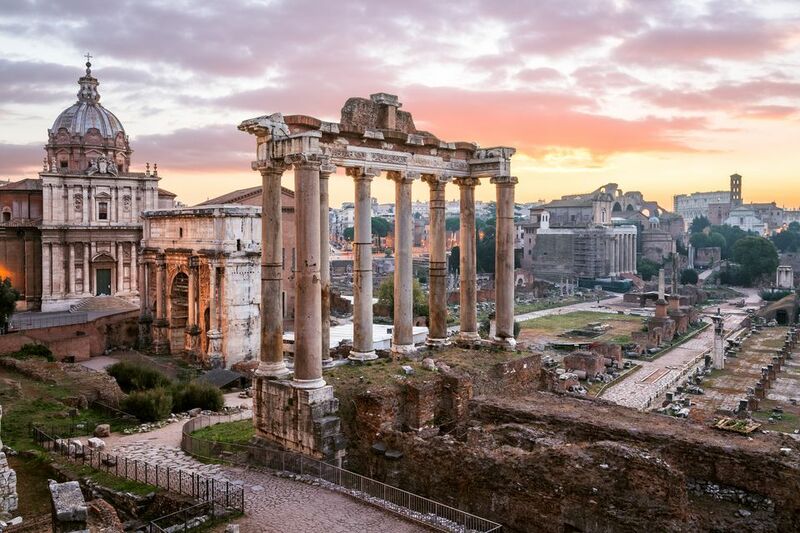 A somber day of celebration, Liberation Day on April 25, marks the day that Rome and the rest of Italy were liberated at the end of World War II. Commemorative ceremonies are held at the Quirinale Palace among other state venues in the city. The Italian Labor Day is officially on May 1, but much like in the U.S., Italians may take off the week or weekend before it to start celebrating. This is a very popular time for travel, and top tourist destinations may be crowded in Rome. If you are planning to visit any museums or top sites, it is a good idea to check to be sure they are open since some close on May 1. Consider buying your tickets in advance. If you are torn between April or May for travel to Rome, read up about Rome in May.